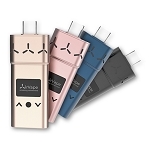 The Airis Herbva Pro Vaporizer is an ultra sleek portable device made for dry blends that offers a refined appearance and futuristic touch screen controls. 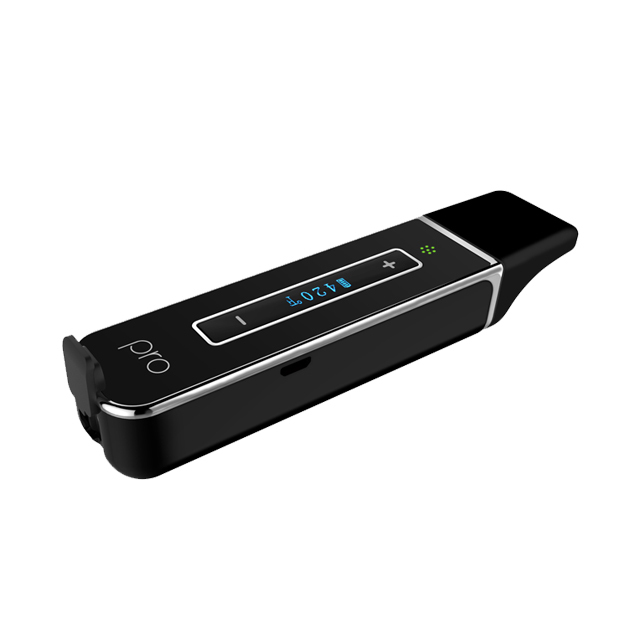 It has a high quality ceramic heating oven located on the base of the device that reaches your desired temperature in just 15 seconds. This oven has an easy-access silicone cap that makes refilling the Herbva Pro quick and pain-free. 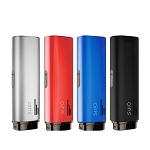 There is an isolated vapor path from the bottom of the device up into the mouthpiece that allows your vapor to travel a far distance completely separated from the internal electronic components to keep your vapor cool, pure and quite flavorful. 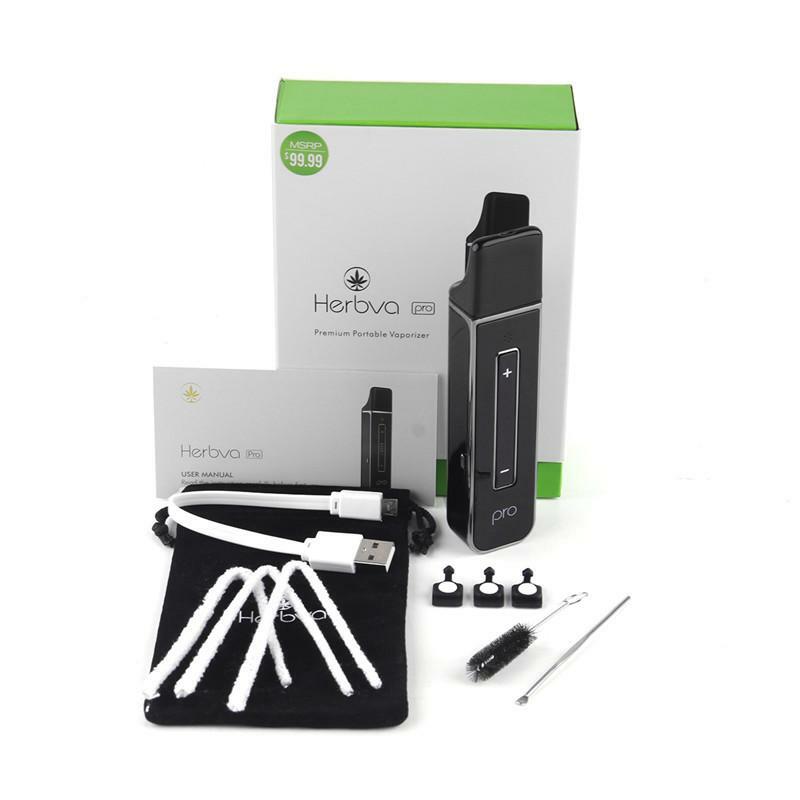 Using the Herbva Pro is also designed to be as easy and convenient as can be. Three presses on the power button begins a heating cycle, from here you can use the Touch Screen + / - control keys to select your temperature anywhere from 300-435°F. A light press on the touch keys will adjust in one degree increments and a long hold/press will quickly cycle through your vast temperature setting options. A single press on the power button while it is powered on will lock in your settings to avoid accidental changes during your session. 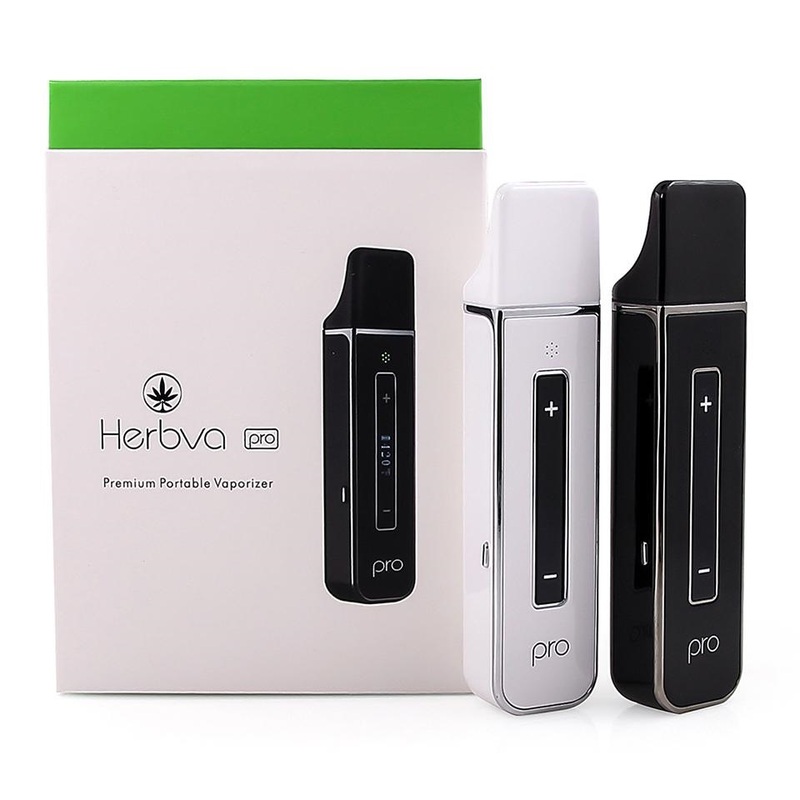 After you have selected the temperature you are looking for the OLED screen will now display the Herbva Pro's current chamber temperature as it rises, accompanied by a flashing green LED light indicator. When your temperature is eventually reached the LED indicator will remain a solid green and remain there for up to 5 minutes before powering off to prevent overheating. 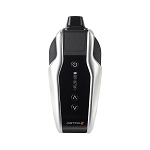 It is also equipped with a Smart Memory function that will automatically remember and adjust to your last setting used for added convenience. On the OLED display screen you can also view your remaining battery life at anytime. 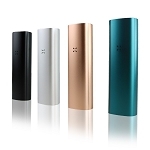 Airisech incorporates a powerful 2200mAh lithium-polymer battery that will allow you to enjoy your favorite dry blends all day long without a hitch. 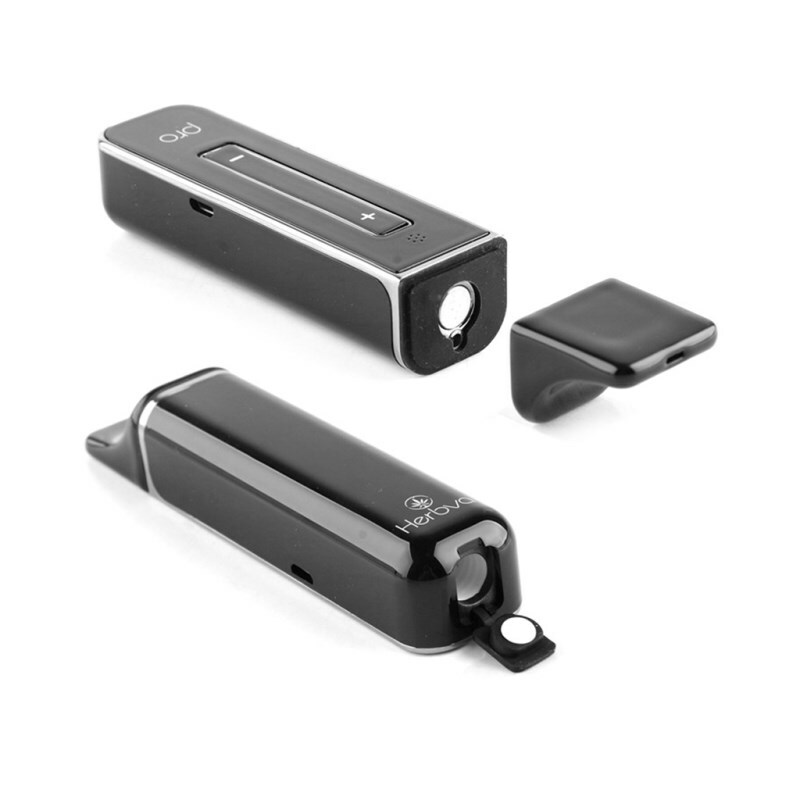 When the time to recharge eventually comes the LED will flash red 10 times, connect to the included USB charging cable and in 3-4 hours time you will back up and running.